Dave Ramsey provides many valuable learning tools to those looking to improve their money management skills. We here at Financial Wellness are 100% on board with that mission. However, there are several points that we think Dave is just plain wrong on. Below is a cautionary tale on why you need to get information from more than one source, and when in doubt — get another opinion. 1. You have to be a very savvy investor to get 12% / year return for 40 years. Anyone who has invested in the stock market for any reasonable amount of time has seen the natural ebbs and flows. Although Dave has defended his math as being just for explanatory purposes, we find it misleading. We agree with Dave on the need to invest — where we differ greatly is how, and what returns to expect. If you are not properly trained and you start putting money into the market without doing proper research, it’s very easy to see your investment shrink instead of grow. If you are going to invest in blue chip dividend stocks 100% (not that we are suggesting you do this), you can probably realistically expect to beat inflation by a couple % points per year, but the boom and bust cycles can affect your returns greatly. A year of contraction in the marketplace can easily erase years of growth. If you are at the point where you are able to put a lot of money in the market — read point # 3 below. 2. The idea that credit cards are evil. Look — if you don’t understand compound interest, or you have no self discipline to keep yourself from spending money, then you probably shouldn’t be using credit cards. It’s not lost on us that Dave Ramsey is speaking specifically to people who have racked up debt in their past and are looking to get rid of it. For some of those people, there is no doubt that advising them to literally cut up their credit cards and throw away the pieces is a good idea. However, money-wise folks will cringe at that statement — and for good reason. If you control your spending, and move all of your bills over to a credit card, it can net you hundreds to thousands of dollars in “free money” through rewards, without costing you a dime extra. We don’t agree that the debt holder is slave to the lender. In many cases, debt holders are in a position of leverage and have a lot of control over their situation. Living a cash-only lifestyle is impractical and will guarantee that you miss out on opportunities that seem obvious to savvy credit users. 3. Dave Ramsey’s advice is too conservative for entrepreneurs. Much of Dave’s advice goes directly against the grain of most entrepreneurs — and for good reason. Entrepreneurs & small business owners in general need capital to make their businesses operate. The idea that it is somehow safer to use your own capital to fund your business is flawed. If you can leverage someone else’s money to generate an ROI, then you are limiting your personal exposure for the cost of the money (the interest rate at which you borrow). It’s easy to talk about what you see, but it’s more difficult to describe what you miss when you are too conservative — opportunity. If you have a marketing campaign that is killing it, generating a 5 to 1 ROI, and you are running out of cash… you would be doing yourself, your business, and your employees a disservice by not taking advantage of that market opportunity. I could go into detail about the cash conversion cycle right here, but I’ll save that for another time. My point is that Dave’s advice is simplified to the point of being counter-productive for people who are generating serious revenue or personal income. 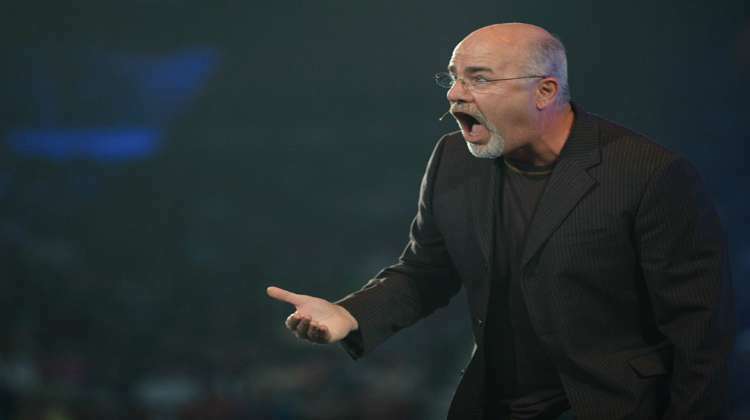 Well that’s it — my 3 main gripes about Dave Ramsey’s advice. Doesn’t amount to much, does it? That’s because Dave Ramsey is absolutely spot on on most of his advice to consumers. My recommendation is that if you are struggling with debt, then you should do everything you can to get out of debt before you try anything sophisticated in your financial life. However, if you are at the point where you are making money, saving money, or investing heavily in opportunity (whether in the market, or your own business), then you need to move past Dave Ramsey and invest in your financial education is a serious way.